Andrej Pejic got FHM lookin' so crazy right now. Supermodel Andrej Pejic took home the honor of being named one of FHM Magazine’s 100 Sexiest Women of 2011. (Number 98, to be exact!) The only problem? Pejic is a man. Hey, stuff happens. And admittedly, Pejic runs in very high fashion androgynous circles. Surely FHM apologized and cracked a joke in their next issue about Pejic being a beautiful man, right? Instead, FHM posted an incredibly offensive blog on their site labeling Pejic a “crossdresser” and accusing him of pretending to be a woman to secure a modeling contract. There’s also something about “passing the sick bucket” if Pejic ever becomes a Victoria’s Secret model, and a hateful attack on transgender supermodel Lea T, a favorite guest of Oprah’s. FHM quickly took down their blog post when they began to receive accusations of homophobia and transphobia, which in our opinion, we’re right on the nose. This is clearly an example of a hyper-masculine company trying to correct its own mistake by pushing the homophobic response it perceives its audience wishes to receive, to poor reaction. 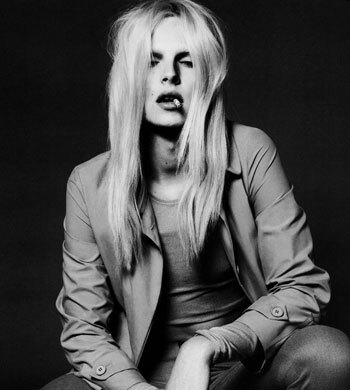 And for the record Andrej is a total babe.